For over 30 years, customers have relied on and have trusted Coachworks to be their primary auto repair shop. 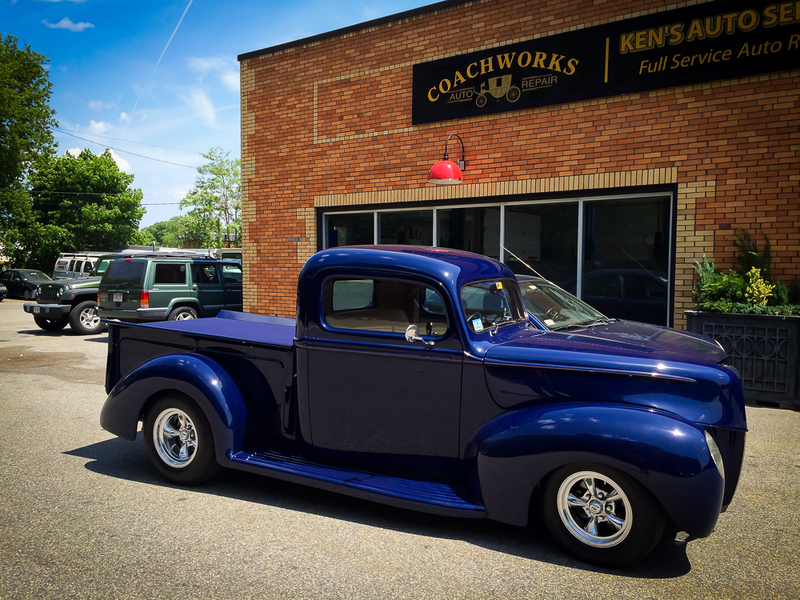 Located in Belmont, MAssachusetts, Coachworks can tackle any of your automotive service needs. Independently owned and operated since 1984, Coachworks specializes in auto repair services for vehicles of today and yesteryear. Our focus is to maintain your vehicle so you may carry on with daily life with minimal interruption. In addition, we are passionate about refining and restoring the classics - from hot rods to woodys - we have worked on them all. In addition to our traditional auto service offerings, we also have a passion restoring and refinishing hot rods and classic cars. For over 30 years, customers have trusted and relied on Coachworks for their automotive needs. We are vintage and custom car enthusiasts! With over 30 years experience in restoring and refinishing classic vehicles we can handle partial to complete restorations. Contact Jim at the shop at 617-489-4574 to discuss your project. To schedule service, contact our shop during business hours. Copyright ©2017 Coachworks. All Rights Reserved.